With the recent earthquake in Nepal, and the news coming out of Kathmandu and from Everest Base Camp, my thoughts inevitably are drawn to the Sherpa people I met when I traveled there several years ago, some of whom were working in the base camp when the avalanche off Pumori roared through. This poem was an homage to the Sherpa when I wrote it last year, and I re-dedicate it to them again now in the wake of this tragedy. Past the ancient city of Tashkent. And the temple monkeys to greet. 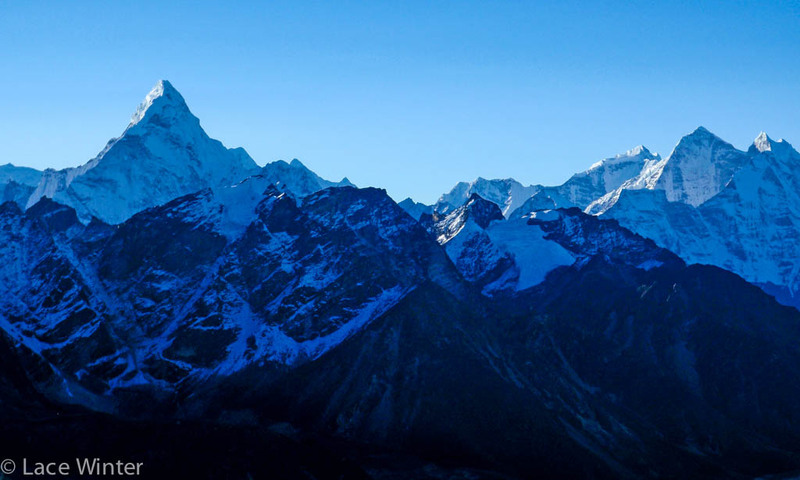 The Solukhumbu commands your gaze. Steep trails promise to take you far. Tengboche’s chanting, yet still far to go.